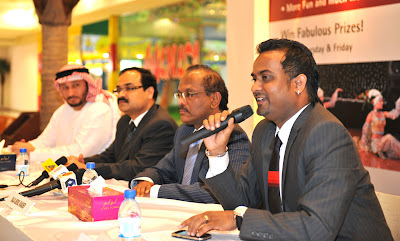 also added the group's flagship LULU Hypermarket as it's anchor store. makes it a great family destination for weekdays and weekends alike. Shopping Center is sure to be the family destination of Abu Dhabi. Facts / Figures about Madinat Zayed Shopping Centre, Gold Centre & New Extension. · Total area after extension is more than 1 Million sq. ft.
· 320 Nos. shops are locate in Madinat Zayed Shopping Centre. · 70 Nos. Gold shops are located in Gold Centre. · 70 Nos. New Shops are located in Madinat Zayed Extension. number of retail outlets in a shopping mall in Abu Dhabi. · Entertainment area Wanasa Land is 12,000/- Sq.ft. · We have 5 nos. Fine Dine restaurants located in food court area. · Food Court Sitting capacity is 2000 persons. · Car parking : 1500 nos. car parking facility is for existing Shopping Centre & Gold Centre. · 80 nos. new Car Parking created for the New Extension. Al Jazeera Group Jewellery (20 Outlets are located in Gold Centre). Salem Al Shouibi Jewellery (Biggest Jewellery) is located in Gold Centre.